In 2009 and 2010 there were two high-profile "cult" stories in Israel, both leading to long incarceration sentences of the leaders (Goel Ratzon and Elior Chen). The ministry of Welfare and Social Services responded by forming a committee that issued a strongly anti-cult oriented report in 2011. This, in turn, brought a group of academics to claim – both to the relevant minister and the media – that the report was in discord with academic research, parliaments and courts around the world [attached]. More on this can be found in an article Marianna Ruah-Midbar and I published a while ago. In the past five years, both processes continued without much influencing one another. The ministry of Welfare and Social Services seems to be committed to fight “harmful cults” (as they call them), cooperating with the main anti-cult civil organization in Israel. And we academics have formed an organization of our own, MEIDA, aimed at providing balanced information on NRMs in the fashion of Prof. Barker's INFORM – and headed by Prof. Boaz Huss, Dr. Rachel Werczberger and myself. We have good working relations with the ministry, but they believe mind control theories are, in some cases, correct, and are acting accordingly. Last year, a law proposal was handed to the Knesset aiming at, basically, outlawing cults. It was never voted upon, but was handed again to the current Knesset, and this time it will most likely be voted upon during February 2016 [attached]. 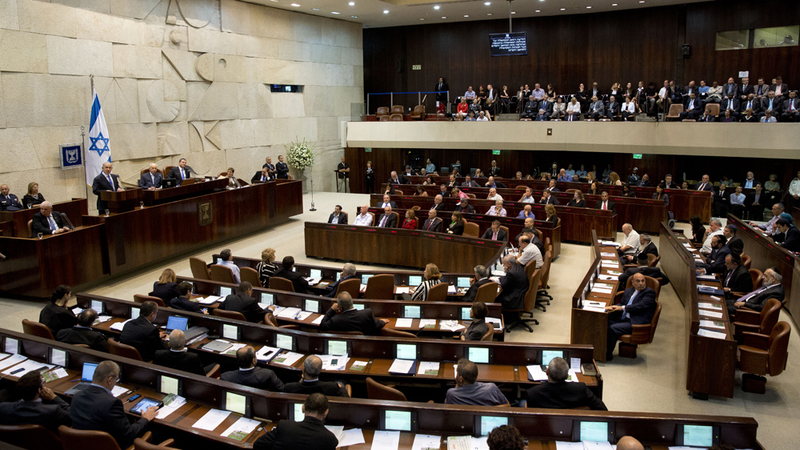 It is supported by 18 Knesset Members (out of a total of 120), from all parties – which means that it is quite likely to be approved. This is still a long process, with three rounds of votes, and even if the law is passed, the government still needs to decide to finance it in order for it to become operational – but, at the moment, it seems like the government actually approves of the law, so it may very well finance it. In short, it is possible, perhaps even likely, that the state of Israel will soon have a law making cults illegal on the basis of theories of mind control. This law not only sentences leaders of cults to 10 years in prison, it also allows the courts to appoint a custodian to members of cults, that is, to define them as legally unfit to handle their own affairs. This is mostly done by that law distinguishing between "cults" and "harmful cults." The distinction is a bit vague in the law, but the gist of the matter is that once any kind of legal felony has been committed in a cult – it becomes a harmful cult, and then the law applies to it. In response to the law coming back to life, MEIDA has issued a position paper which we have sent to several Knesset Members and ministers [attached]. Attached to this brief summary of the events is a translation of MEIDA’s position paper to English, an unofficial translation to English of the proposed law, and the original response of academics to the 2011 report. We academics hope this law will not pass without listening to not only what we have to say, but heeding past attempts at anti-cult legislation around the world, existing court rulings and academic research on the subject. We believe dialogue, instead of unilateral action, is the way to proceed.